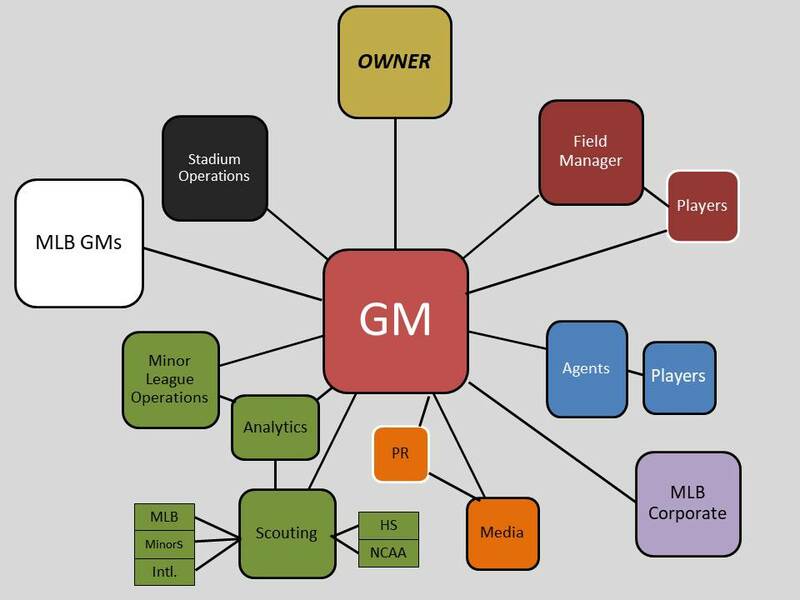 The job of a Major League Baseball General Manager is a study in complexity. There are skill sets that require years of immersion to obtain. Responsibilities are abundant. Performance expectations are of the highest magnitude. And, the baseball world is now a 24/7/365 experience. If you wish to find a job with, ”Burnout” written all over it, the GM job is just the ticket. It’s worth a peek under the hood to see some of what is involved. For many decades the Human Resources departments of companies and government agencies have established basic qualifications and skill set listings for individual positions. That serves as the first and most basic step in the hiring process to select a good candidate. Training Departments take those HR-generated lists and expand them one additional step creating “Job and Task” lists. For each of the tasks on the list there are “Skills, Knowledge, and Abilities” required to successfully fulfill them. For a welder the SKA list will run for pages. A General Manager’s SKA list would fill a nicely-sized book. No one would read the entire thing. No one in their right mind would try to write it. A more efficient approach would be to look at the GM universe graphically. Unlike the traditional “Hierarchy” chart the so-called “Network” graphic maps the various relationships. This is a greatly simplified version of the reporting relationships and communications that take place in the GM’s world. This is a network jam-packed with information exchange, decision-making, and delegation. But, there is no doubt which person is at the center of the hub. It would be impossible for anyone to be successful at that position without superior communication skills. The more stakeholders involved in any operation the higher the demand is for effective communications. GMs have literally hundreds of stakeholders within the organization and hundreds of thousands outside of it in the fan base. Social media awaits the gaffe on an MLB Radio spot with a can of gasoline and a road flare. Journalists, peering through the bamboo thicket attempting to see the Free Agent dance on the other side are looking for context and hidden meaning in throw-away lines. And, the jaded in the fan base, unhappy that the Empire has not yet expanded beyond the Beltway are looking for slivers of inconsistency that confirm their cocksure diagnosis of abject incompetence. This isn’t the place for a quivering youngster delivering their first fumbling oratory in Speech 101. This pond is full of sharks. If a poll were to be conducted among fans to name the primary function of the GM the answer would overwhelmingly be some variant of, “Produce a championship team.” That would be correct for only a handful of teams in a given year. The better answer would be, “Implement the owner’s wishes.” In any year there are a handful of teams with a goal of the big prize, a larger number pushing to “Make noise,” some trying to tank for the draft picks, and some just trying to make money. The goal comes from the top of the house. Of all the relationships on the chart the one between the owner and GM is the most vital. It is also the subject of constant speculation. “Did the owner nix that deal?” Enter the whispers of the ubiquitous “Anonymous Source,” Stage Left. Impacts and implications stand at the ready. Intrigue aside, at the end of the day the GM has to build a team consistent with the goal and vision of the owner. Whether that is the third year of the “Tank” in the modern cycle of “Tank-then-Soar” or this is the last chance for this core of good players to get the rings the job is the same. Each roster position has a dizzying list of questions associated with it. The list of options available for each is variable. There are any numbers of ways to approach the task. But, an old Engineering model works as well as any: Assess, Plan, Implement, and Evaluate. Building a team starts with a dispassionate and ruthless assessment of what is on-hand. Metrics are invaluable as long as the limitations and inherent biases of each are fully understood. Players, much to fantasy enthusiasts’ chagrin are rarely robotic. Performances will peak and valley within larger career trends occasionally interrupted by injury. Is he waxing or waning? Was last year an aberration or the start of the end? How does he compare to others in absolute value? Ask a few dozen more questions in that vein and a full picture emerges of a player once one last trifling variable is added: “What’s his contract?” That opens another trunk full of questions about this year, next year, and beyond. Rinse and then repeat that for everyone on the roster, then again for every player on the MLB level. Add a similar exercise for the Minor-League universe and the Assessment is done. That was the easy part. It’s also relatively easy to Plan despite the necessity for three layers of contingencies for every element of the plan. Filling the “Holes” by implementing the plan is the hard part. Every winter the Free Agents line up like goodies on the supermarket shelf. The old adage is to never grocery shop while hungry lest you end up with a cart full of munchies yet little of substance. Every acquisition adds contract implications, roadblocks to prospects from the Minors, and alterations to downstream plans. Complicating everything is that little of this takes place on-schedule. Player A wants too much money/ too many years/ too many options. Player X unexpectedly becomes available. It’s time to change plans. The best GMs can make quick changes while fully understanding the impacts to the larger whole. Every one of the dozens of phone calls per day is an opportunity. Some come disguised as problems. “My All-Star infielder needs arthroscopic surgery on his throwing elbow?” Every day is its own adventure. The temptation is to rush through or ignore Evaluation. After all, the daily din is deafening. 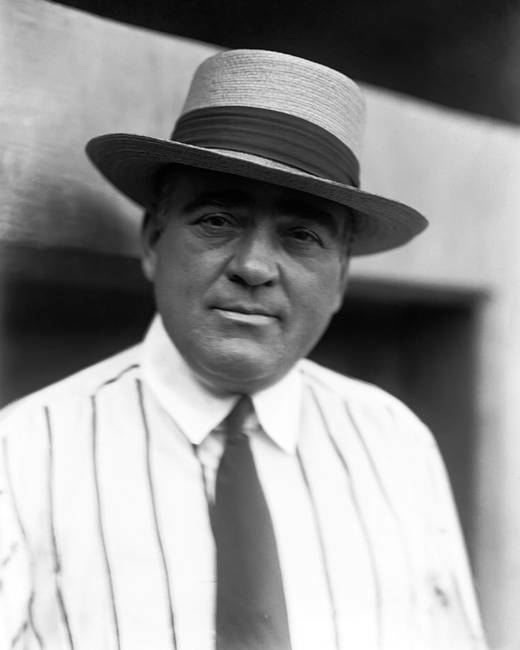 But, the great GM will look back at the moves over history to see not only what worked and didn’t work. What really counts is the underlying reason for each outcome. There will be unexpected successes and failures. Hint; the fan base, armed with hindsight will find all of the failures predictable. Understanding why things turned out the way they did should help reduce the number of misfires in the future…which may well be somewhere else. And, that is only the Cliff Notes version of the job.